1Things that exist or are used or enjoyed for only a short time. 1.1Collectable items that were originally expected to have only short-term usefulness or popularity. You can’t really know for sure but it seems to date from the late 1950s–Hamman Hall, Keith-Weiss, and M.D. Anderson Biological Labs were all finished in 1958. That’s a pretty long time for something that was meant to burn up. 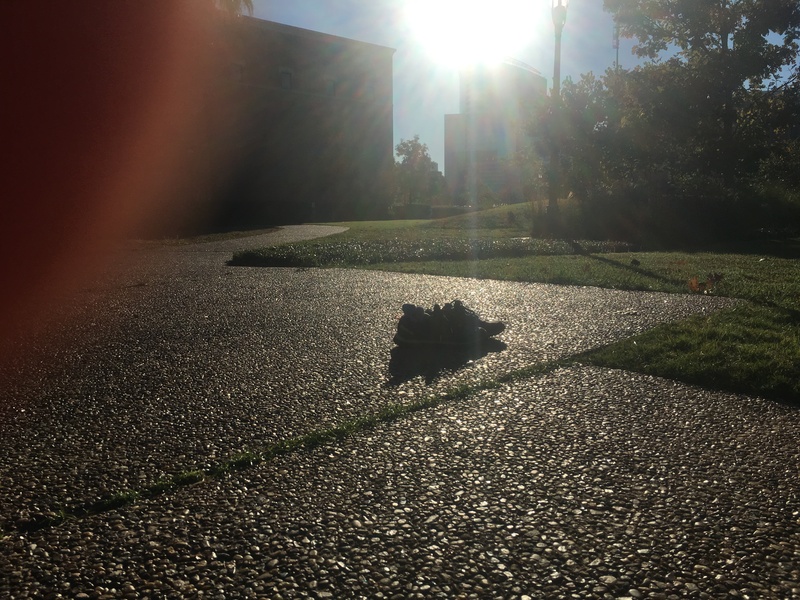 Extra Bonus: My favorite picture from Homecoming–abandoned shoes, 8:56 a.m. Sent in by a reader alert enough to notice, yet not quite alert enough to keep his finger out of the photo. Seeing as how it says “Rice University”…perhaps it was issued in 1960 as part of the rollout of the name change? That’s a really good guess! I hadn’t even noticed. I could swear I saw that matchbook cover sold at the RMC about 1972. Please everyone remember to ” Close cover before striking” !